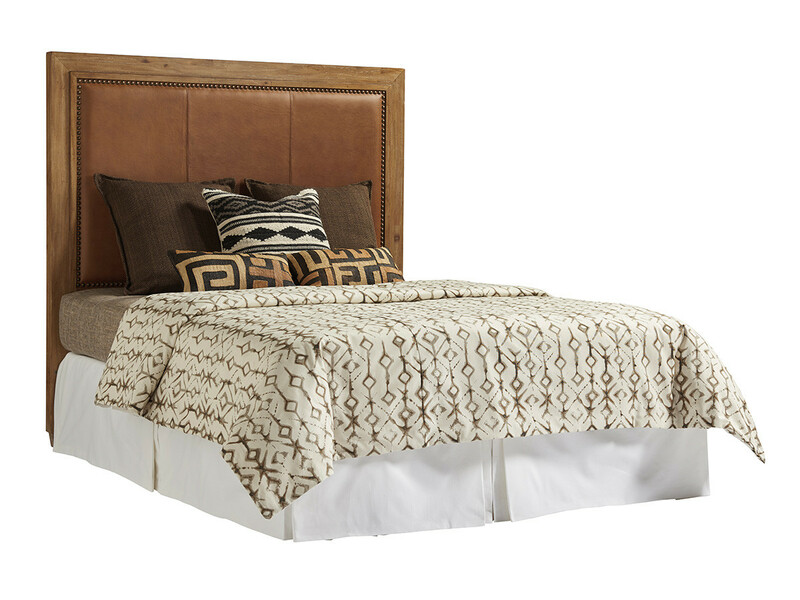 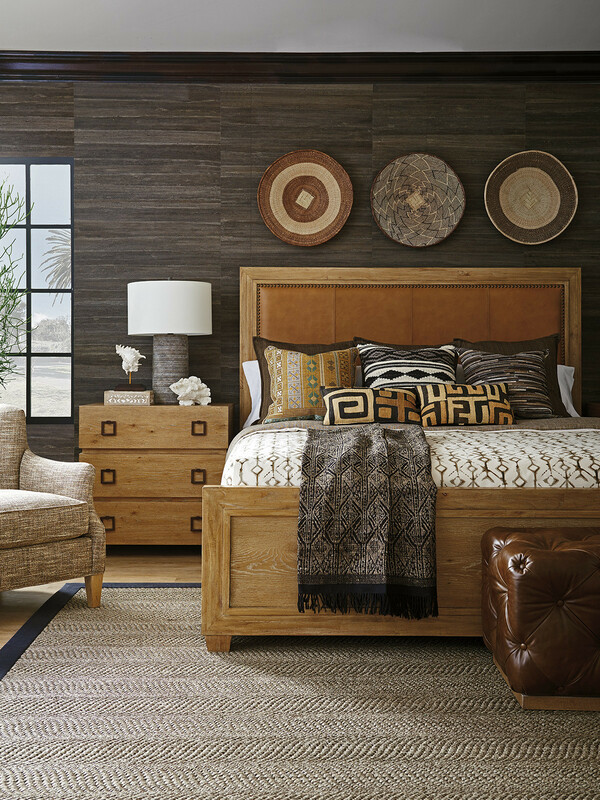 Make a design statement with the saddle brown leather panel in the headboard, framed with decorative nailhead trim. 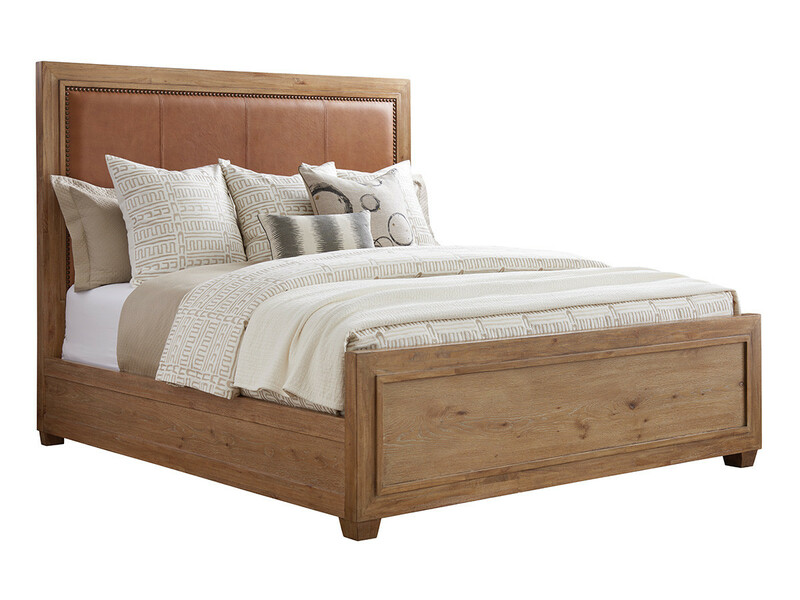 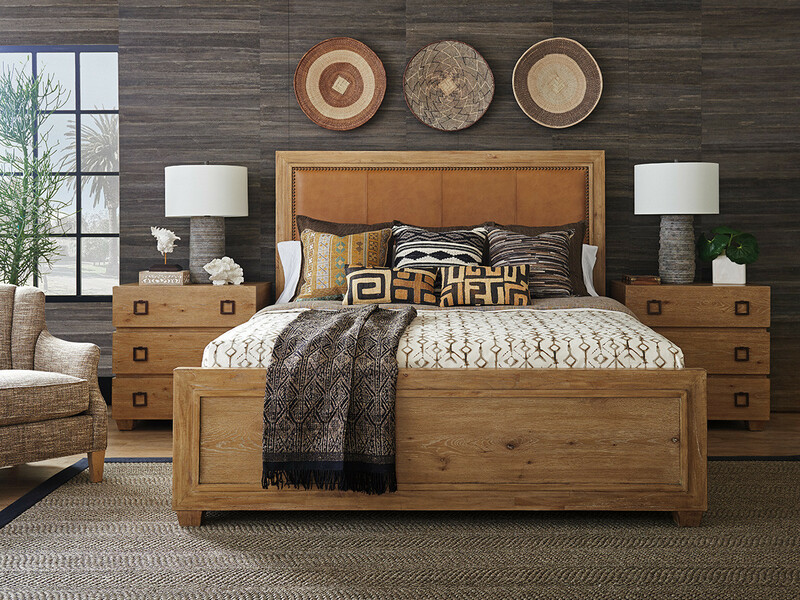 For proper proportion, the king headboard features four panels and the pin-knotty oak footboard and siderails provide visual strength and offer an ideal canvas for your bedding. 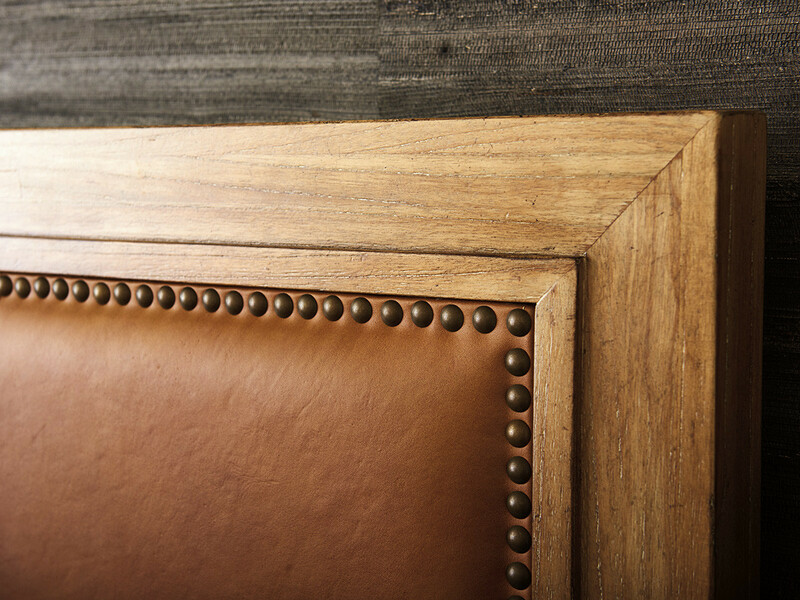 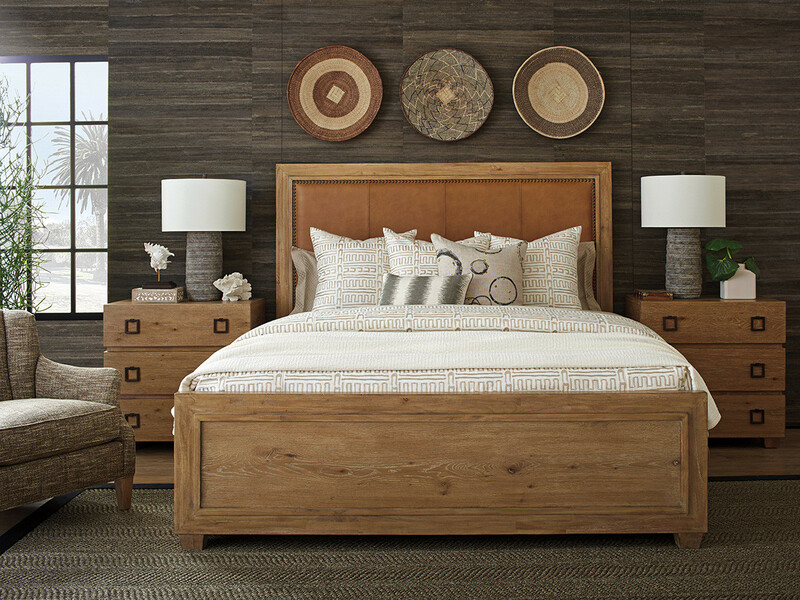 The inset leather headboard panel features top stitching and spaced nailhead trim in a natural coloration. 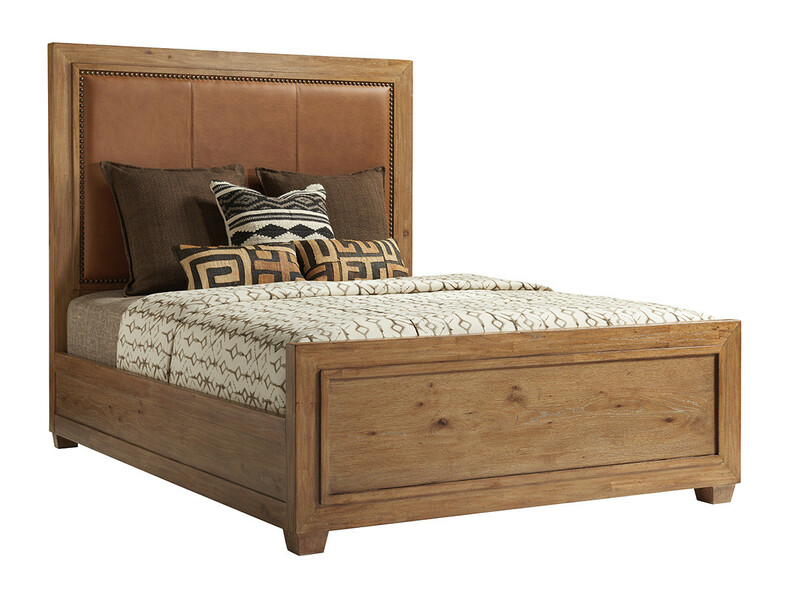 Also available in headboard only. 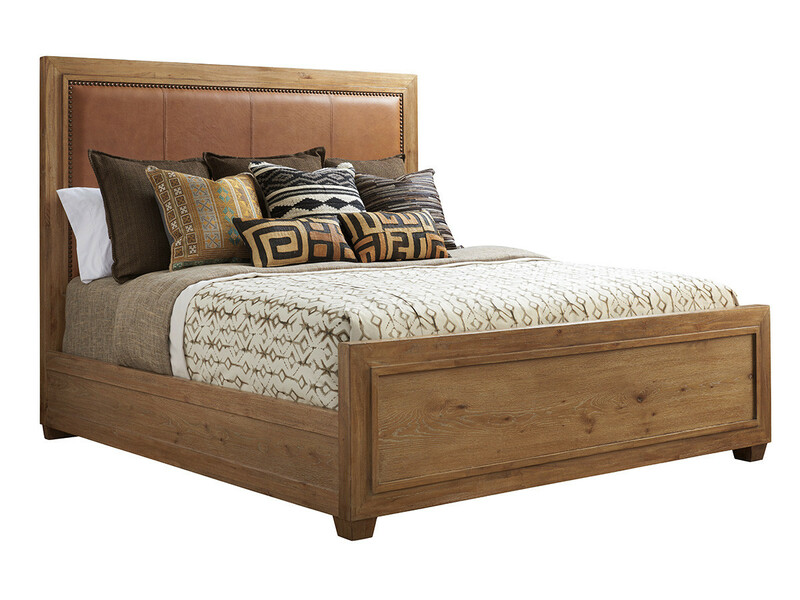 Dimensions: 80W x 87D x 64H in.